Novelist & Who Else Writes Like...? 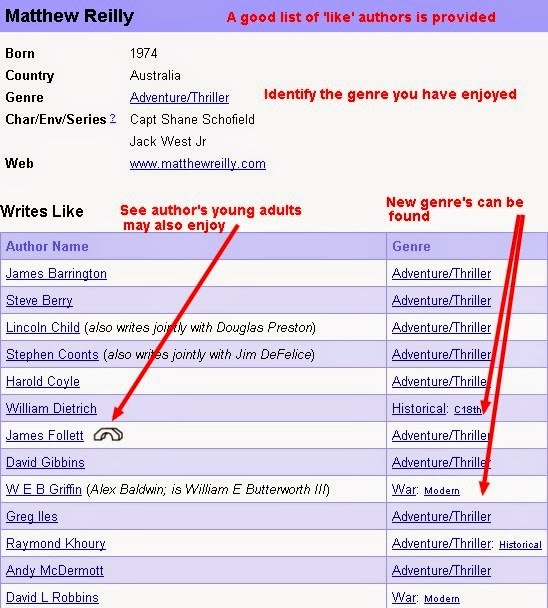 can help you locate your newest favourite book. What happens when you've caught up on all your favourite author's books? Or finally plowed through the eclectic pile beside your bed? You could come in to one of your library service's eight locations and spend some time allowing serendipidous discovery to direct you to a title which is just what your were looking for. You could pester your friends for their favourites and borrow those, only to be quite surprised by the numerous shades of grey, you get and what that might say about the one who suggested it! 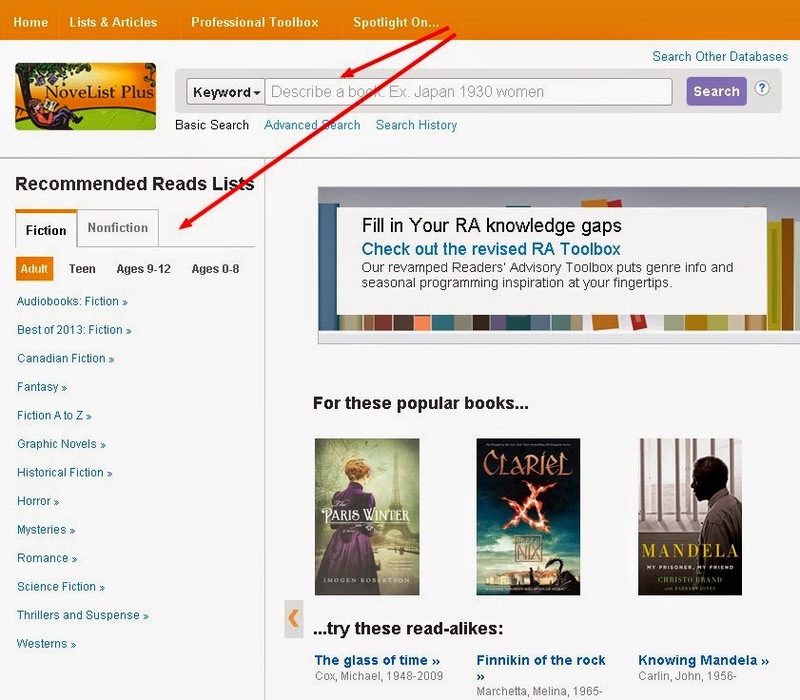 Or you can use one of these online Reader's Guides, to find a title or two which matches your reading preference of the moment, check the library has it, request it and then briefly drop in to pick it up at the library location of your choice. All from the comfort of your own lounge. 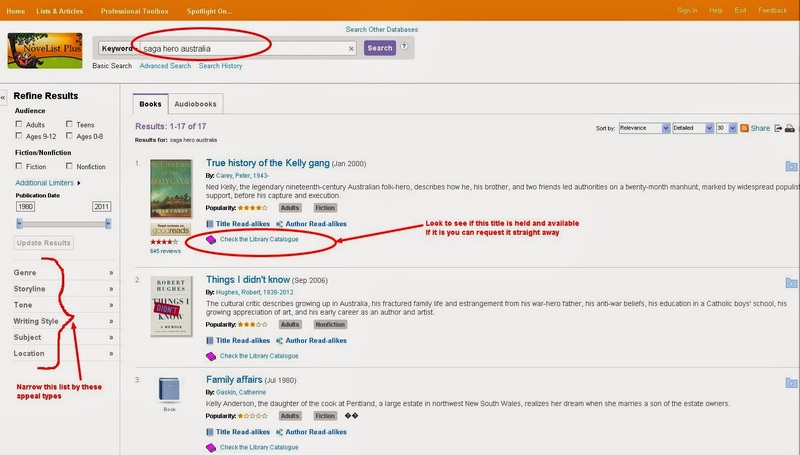 CHECK title availability in Sutherland Shire libraries catalogue. SHORTEN a results list using the appeal factors on the left. Be left with just what you are looking for! book often differ between publishers or editions. please take advantage of the InterLibrary Loan service. For more information about these services please ask our staff in person or by phone.